We are a direct importer of select materials and provide sales, custom stone fabrication, and installation services. We come from a family of importers providing us unprecedented access to a large inventory of material at great prices. We will sell the material and/or provide installation and fabrication services. Whatever the customers needs are. We work with general contractors, builders, architects, designers and residential customers. Contact us for special bulk pricing on select materials. We service the greater Chicago Illinois region and will travel for the right job into Wisconsin, and Indiana. Headquarted in Bensenville, Illinois, Factory Plaza is a highly respected producer of kitchen countertops, vanity tops and cabinets in the USA. We are committed to the communities in which we operate making every effort to bring quality and affordability to each and every household. Here, at Factory Plaza, our customers are our neighbors, our friends, and our business partners. 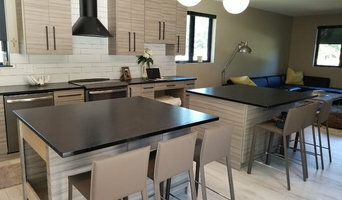 Our Project Managers are our best asset sharing their extensive knowledge to clarify the process of designing your kitchen countertops and ordering them. As a direct importer of granite and marble, we are committed to helping you stay on the budget with all granite projects. The line of products we offer is sourced from across the globe so you can be assured that you will always find something that fits your needs and reflects your personal style at the same time. Factory Plaza also provides high quality cabinets that exemplify the look you wish to portray. Want to take some of the stresses away from dealing with multiple people for different jobs? Let Factory Plaza make it easy on you by providing countertops and cabinets! Based on our customers’ needs, we provide just the right blend of services, products, customer guidance, and support that ensure only the best possible results. In addition to basic surfaces, many Westmont, IL tile, stone and countertop contractors can create and install murals and mosaics, as well as add decorative edge treatments to countertops. They also repair or replace surfaces in the event of chips, cracks, stains or other damage. Many tile, stone and countertop professionals also install shower pans, radiant-heat flooring systems and other common components of surfacing jobs, often working in tandem with Westmont, IL plumbers or other professionals. Here are some related professionals and vendors to complement the work of tile, stone & countertops: Interior Designers & Decorators, Architects & Building Designers, General Contractors, Kitchen & Bath Designers, Design-Build Firms. Find a tile, stone and countertop contractor on Houzz. Narrow your search in the Professionals section of the website to Westmont, IL tile, stone and countertops. 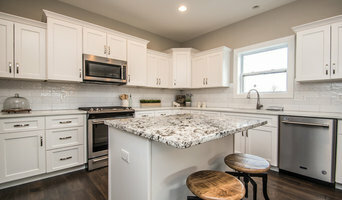 You can also look through Westmont, IL photos to find tile, stone and countertop projects you like, then contact the contractor who worked on it.